VA Home > Home Buying Basics > What determines a credit score? Among the many advantages of the VA home loan program is that the Department of Veterans Affairs has not established a minimum qualifying credit score. Essentially, this means that no specific credit rating is required of borrowers applying for a loan. However, in issuing a loan, individual lenders establish their own underwriting requirements. These requirements are largely subjective, what is true of one investor may not be true of the next. A borrower with unpaid debt, judgements and collections are not guaranteed application denial, but an investor may be wary of working with someone with excessive financial hardships. The good news is that certain lenders may only be concerned with the previous 12 months of credit history and a suitable explanation for late payments may be enough to soothe things over. Having said that, a good credit score is still largely important, especially for a new home loan. Often, people are unaware entirely of what the determining factors of a credit score are. Below are the three variables important in determining a FICO score. Payment history accounts for roughly 35 percent of your overall FICO score. When underwriters analyze your credit report they want to see no late payments present over the previous 12 months, especially for refinances. Payments that are over 30 days late can impact your score negatively and may result in the denial of a home loan. The Amount of debt owed is the second biggest factor in the determination of a credit number. This accounts for 30 percent of your overall FICO score. Don’t max out all of your credit cards, keeping them at around half of what the actual limit is shows that you are not overextending your financial responsibility and that you are accountable. Avoid going over your credit card limit. This can impact your score negatively. The Length of your credit history will show an underwriter that you have experience paying your bills on time and are likely to continue doing so. Keep your credit cards active for as long as you can. This doesn’t mean that you have to keep using them, just put them aside for emergencies. Significant to boosting your credit score is the knowledge of any relevant information. Many people are largely unaware of what programs are in place that may increase an individual score. For example, a new service called RentTrack, provided by Experian and Transunion is now available to aid tenants in improving their credit. Previously, on time rent payments did not factor into credit scores, now, by using RentTrack, tenants may receive a score increase by paying their rent online on-time. Experian is currently reporting that by using this service, almost 20 percent of renters have seen an increase by as much as ten points after their first month. 59 percent of renters have seen an eventual score increase. This service is simple to use, offers value to both tenants and landlords and may help potential homeowners qualify for a loan in the future. Additionally, the newly unveiled FICO 9 credit scoring model is of note to consumers. This scoring model will now separate medical debt from a non-medical debt, softening the impact of overdue medical bills. Of further advantage is that multiple collection accounts will no longer be penalized once they have been paid off. 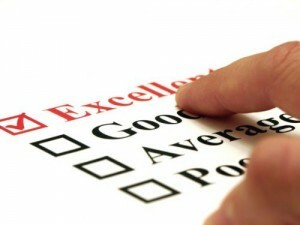 Experian has reported that individual scores may jump as much as 25 points per account. Although there is no one right answer for everyone, becoming familiar with your credit is always the first step, and paying your bills on time is a must. For pre-approval contact, VA Home Loan Centers today!